Lendr is a platform that is looking to revolutionize the loan origination and loan management process by considering all parameters like past performance and future potential, and it is not dependent exclusively on credit score. The team at Lendr aims to provide a fast, transparent, and simple solution for businesses and fill the gap for specialty finance on the broker’s side of the business. Lendr was established as a joint venture with four partners by founder Tim Roach in New York in 2011. Its core business was feeding leads to lending companies. George Greco was the co-founder of the company, but he left in 2016. Roach served as CFO from 2011 -2013 and, in 2016, was appointed CEO. The company also left its legacy system in 2016 and invested in a new lending platform to provide a seamless experience to customers. The company was initially incorporated as Viking Funding Group but, in 2016, was rebranded to Lendr and subsequently moved its headquarters to Chicago. Lendr has over 40 employees and has achieved double-digit growth since inception. The company initially raised $5 million in equity from a set of five investors and earlier this year raised $50 million from MidCap Financial. Lendr’s core offering is in specialty financing called merchant cash advance (MCA). This is not a traditional loan, and disbursement depends on the company’s everyday credit/debit transactions. Unlike underwriting models such as FICO that focus on current/past cash funds and transactions, Lendr is based on a forward-facing model, which primarily focuses on the future ability of a borrower to repay funds. For instance, repayment of funds is carried out by taking a percentage of daily bank deposits until the loan is repaid. Lendr offers a broad variety of loan-related products. These include business financing, startup business funding, working capital, small business funding, and equipment financing. The company leverages Wizard, its proprietary underwriting credit model, for capturing information and searching databases to find the right loan for the borrower. The Lendr platform is based on cutting edge technology capable of providing a lender score (0-100) based on customer responses within two hours. Based on this score, a rate card, interest rate, and advance rate can be calculated. The score is not dependent on FICO for loan eligibility. Once an application is approved, funds will be remitted in less than two business days. A daily or weekly amount will then be automatically debited from borrower account. The company leverages artificial intelligence to capture borrower data and identify patterns. It is using AI to predict what will happen in the future. AI also helped Lendr increase its speed in underwriting. Roach said the underwriting process once took three days. In 2017, that was reduced to eight hours. Now, the algorithm can complete a case in just two hours. In April 2018, Lendr launched a business debit card for SMEs that allows a borrower to get access to funds instantaneously through a virtual master card. It followed this up by also launching a traditional plastic card. It will have the facility to auto renew without waiting for approval, which earlier used to take up to two hours. Also, consumers are not required to wait for disbursement of funds (1-2 days) and will get direct access to funds without any paperwork. Repayment will be weekly or daily based on consumer preference. 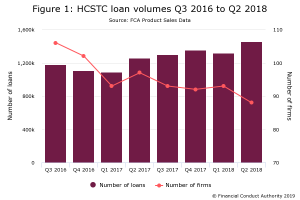 By the end of Q3 2018, the company is looking to offer a line of credit to borrowers. Lendr has association with many third-party vendors to facilitate the loan process. It has built robust API rules to interact with external vendors and also makes sure to comply with data privacy rules and regulations. The integration process costs have been reduced by 90% due to the APIs, which are able to interact with multiple vendors and can extract data related to collections, sales, and customer relationship management. This data can be used to perform predictive analysis and run different algorithms to extract results. Results obtained from these algorithms can be used to understand client risk profile, comparing different clients with same kind of risk profile, and provide automated tax analysis with a scoring matrix. As of now, Lendr processes are around 40%-50% automated loans, and the company can achieve disbursement of funds in 1-2 days. By the end of this year, the startup’s goal is to approve a loan within 90 minutes and fund clients within the same day. Kabbage is one of the largest of the five or six serious competitors. These competitors can be an expensive proposition for a borrower as they levy higher-than-expected interest rates. Some small businesses are being charged over 180% interest for merchant cash advances. Lendr, on the other hand, charges 15%-25% APR, which is extremely reasonable as compared to other competitors. Lendr has also recently partnered with MidCap Financial Trust to close a $25 million senior credit facility. This partnership solidifies Lendr’s position in the specialty finance niche. Lendr is able to achieve MCA originations of $8-$10 million per month and is committed to increasing this number to $12-$15 million by year end. Since inception, the customer base has surged to over 10,000. The company has also been successful in retaining its clients and is providing approximately 2.8 loans per customer. The company aims to increase this to four loans per customer. Lendr is also looking to increase the overall average loan tenure to 14 months. Features like flexible payment plans, no priority to credit history, short term loans, disbursement of the amount in 1-2 days are key differentiating factors, which makes Lendr a fine choice for small and medium businesses.